Know someone who has created some magic on stage? 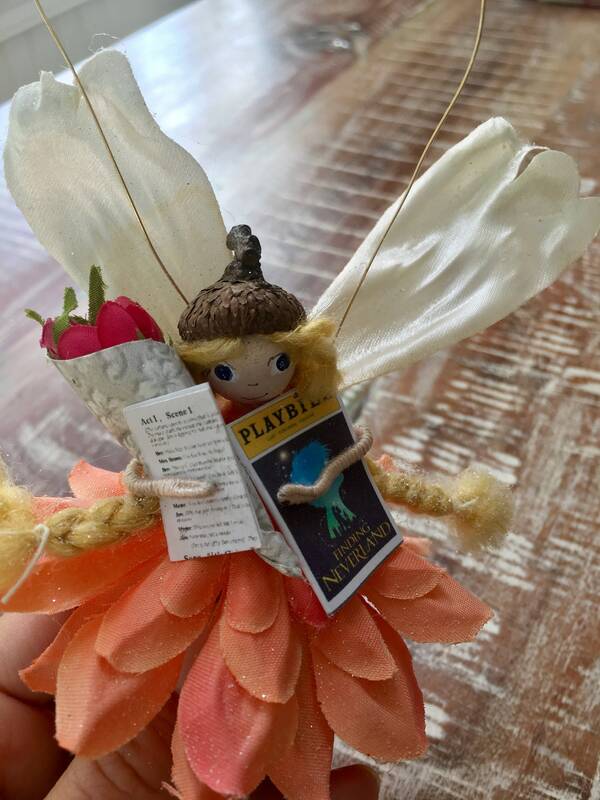 This Custom Theater Fairy is the perfect way to celebrate your little (or big) star!! 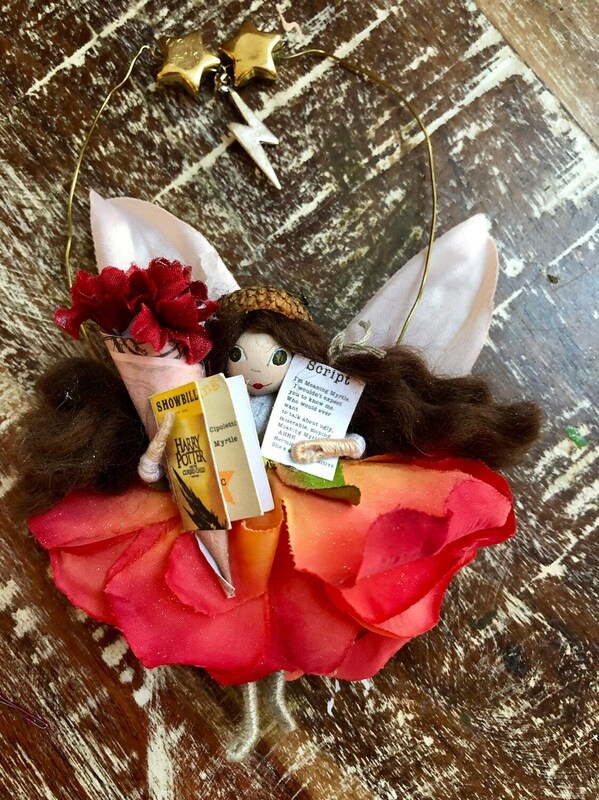 This wee fairy, standing about four inches tall and with a wire for hanging, holds all the trappings of a theater pro...a teensy, tiny script, a play bill and, of course, a tiny bouquet of flowers. 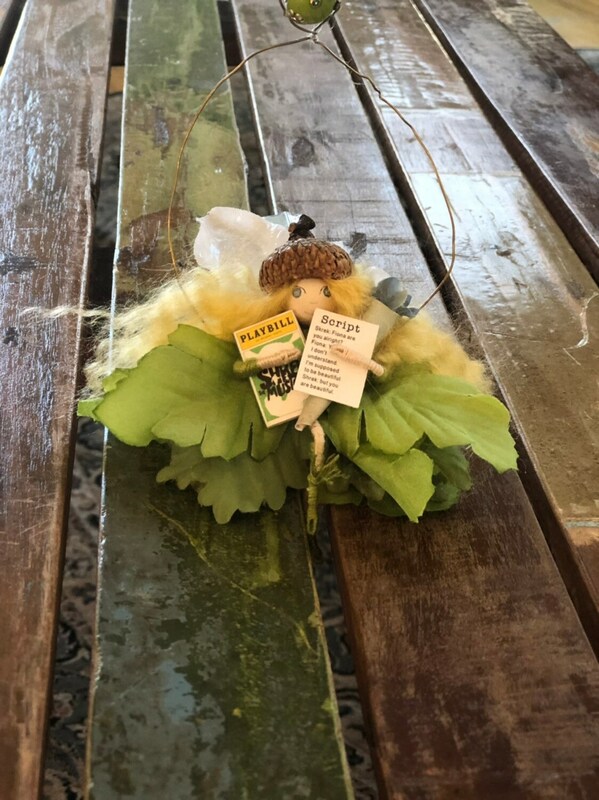 She is the perfect gift for opening night, a sweet good luck charm to wish good luck (or break a leg) to a budding actress, or a wonderful collector's item for any theater fan! I can even customize the tiny script with the name of a specific play if you provide me with the information. Honestly, what super-star should live without her own Fairy Fan? Cute little gift for my drama teacher niece. She hasn't seen a Broadway play that she hasn't enjoyed. This fairy is beautiful. It was customized to a specific show and character, and Janie added extra details to make it even more unique and perfect. And it was done much more quickly than I'd have thought.